WRITTEN IN HISTORY: LETTERS THAT CHANGED THE WORLD celebrates the letter in world history and personal life. 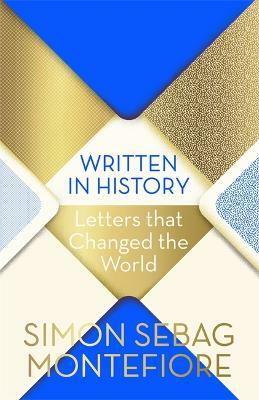 Acclaimed historian Simon Sebag Montefiore selects letters that have changed the course of global events or touched a timeless emotion - whether passion, rage, humour - from ancient times to the twentieth century: some are noble and inspiring, some despicable and unsettling, some are exquisite works of literature, others brutal and coarse. From love letters to declarations of war, ranging from Elizabeth I to Stalin, Marcus Aurelius to Machiavelli, Oscar Wilde to Balzac, Rameses the Great to Gandhi, Montefiore explores the significance of each piece of correspondence and shows how letters can reveal the personalities of some of history's most fascinating figures, and in turn offer a unique perspective on the past and a relevance for today. These are letters everyone should read.